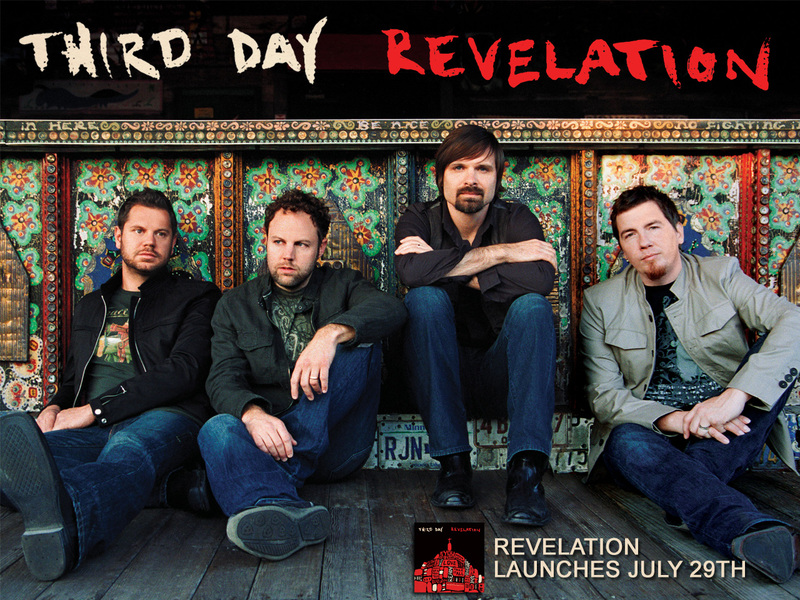 THE 35-city spring leg of Third Day’s ‘Revelation Tour’ will conclude May 9, as they become the first act to appear at Abbotsford’s new Entertainment & Sports Centre. Also onstage will be double-Grammy nominee Brandon Heath; and Revive, a new Australian band. Mac Powell and the guys will be offering some classics, alongside new hits like ‘Call My Name’ – and the title track from their critically acclaimed 10th CD,Revelation. That album was this year’s Dove Award winner for Pop/Contemporary Album of the Year; this makes an even two dozen Doves for this talented group. The band has also racked up 26 No. 1 radio singles, three Grammy Awards and an American Music Award. The newLive Revelations CD/DVD, rather than going with your typical live concert footage and placing token backstage footage in the extras, offers up a 75-minute documentary. It seamlessly blends the powerful Third Day concert experience with exclusive behind-the-scenes moments, truly giving an ‘all access’ glimpse into the lives of the band. Both the CD and DVD give only a ‘snapshot’ of their typical concert, showcasing only nine songs – recorded at multiple cities on their Music Builds tour, in support of Habitat for Humanity. A highlight – unfortunately only included on the CD – is the cover of U2’s ‘When Love Comes to Town,’ which features Jars of Clay and Switchfoot. On Tomlin’s fifth studio recording, he once again offers up modern songs of worship for the church – which will be sung for years to come. Much of the CD seemed instantly recognizable upon first listen – in some cases due to his ability to write the perfect melody; but also because the driving ‘Sing, Sing Sing’ and the soaring ‘God of This City’ first appeared on the 2008 Passion CD which took its title from the latter song. For 13 years, Kari Jobe has contributed to live albums for Christ For the Nations.’ At her current post as associate worship pastor at Gateway Church in Texas, she sang the stirring anthem ‘Revelation Song.’ Now this seasoned worship leader has released her self-titled debut, which combines scripture-based lyrics with singable melodies. Co-writers include Chris Tomlin and Paul Baloche. The album was produced by Ed Cash, who takes a subdued approach that is a far cry from the mega-church worship many associate with Jobe – and the results are stunning. For her eighth solo album, Winans offers a powerful set of familiar hymns and worship songs, draped with lush strings. Recently she was awarded a Grammy in the ‘Best Pop/Contemporary Album’ category. The pioneer of great worship albums for kids is back again. In 2004, Hillsong KidsJesus is My Superhero brought together high energy songs written with kids in mind alongside favourites from the Hillsong songbook.